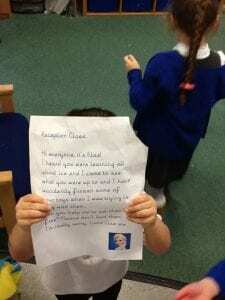 Birdwell Reception Blog » Blog Archive » Ice and a visit from Elsa! Ice and a visit from Elsa! 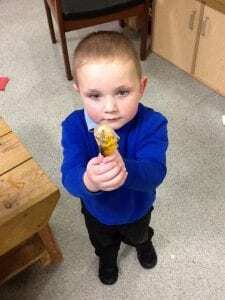 We have been having lots of fun learning about ice. 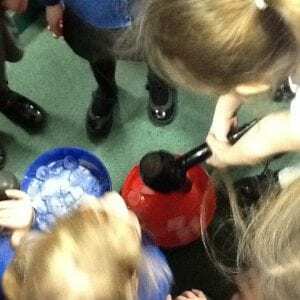 We started off by exploring ice cubes and what they felt like… Some children noticed they were starting to turn to water. 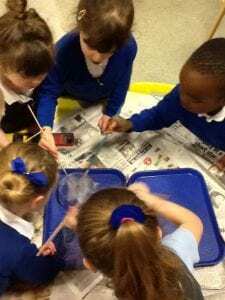 We discussed that this was called ‘melting’ and then had a think about what causes ice to melt. 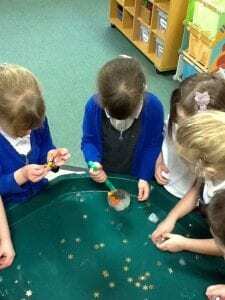 We did an experiment to see what would melt the ice quicker; salt or hot air… We even had a letter from Elsa explaining she had accidentally frozen some of our toys and we had to figure out how to free them!